Did you know that coffee have amazing benefits for your skin? Just like caffeine effect to us in the morning, it also can wake you up from the outside, too! Coffee is full of antioxidants that can 'wake up' the skin. I was thinking, then should we just rub our leftover dry coffee grounds on our skin? Trust me, you don't want to rub your skin with that rough things. That's why we need a great quality coffee scrub. 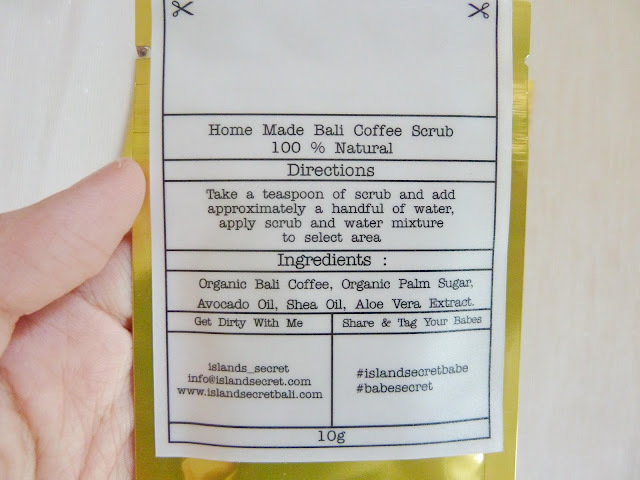 Island Secret is a brand new handmade organic face and body scrub, made in Bali. The name of 'Island Secret Bali" comes from an island babe who always enjoy her days on the beach, under the sun and sometimes being a mermaid in the water. Through her journey, she found out that nature can damage the beauty of her skin. 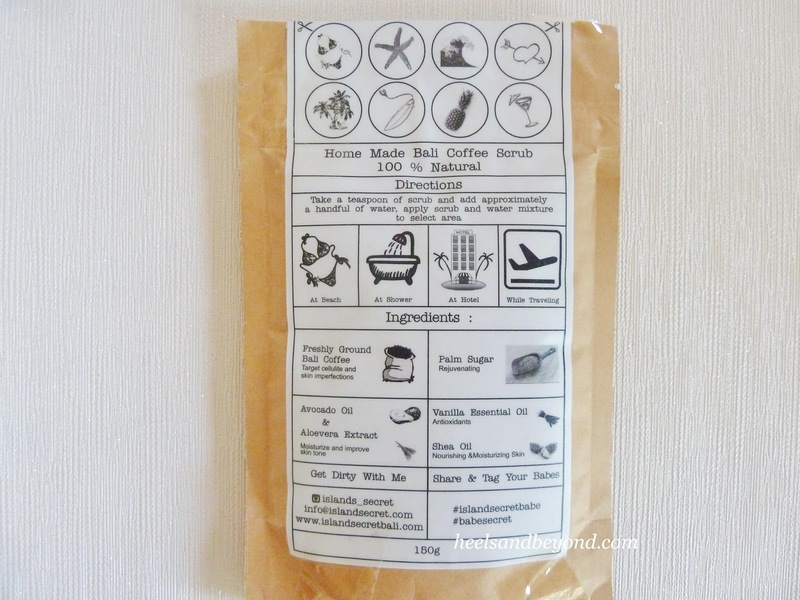 Then, she discovered a product from all natural organic ingredients that can cure and prevent skin damage. 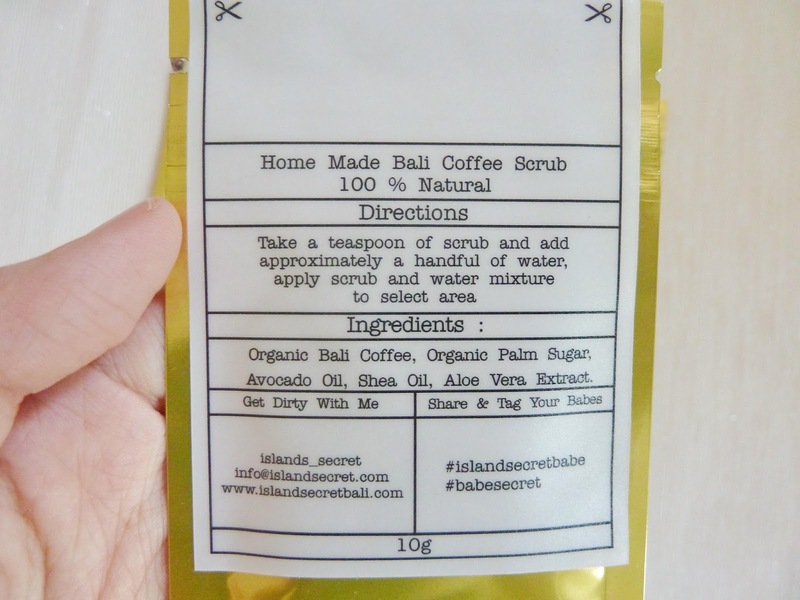 Made with special ingredients, blend with freshly ground organic Bali coffee, organic palm sugar, avocado oil, shea oil, aloe vera and essentials oil, Island Secret Coffee Scrub purpose is to help woman find their natural skin beauty away from chemical products. 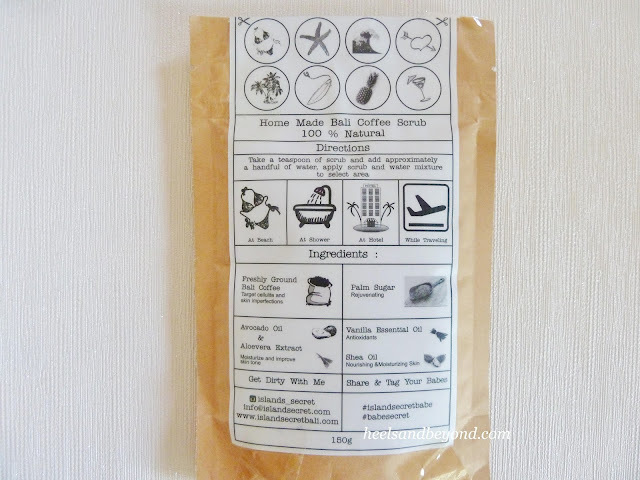 I'm always nervous, whenever I'm going to try a new product, because of my sensitive skin situation. But, after consulting with Island Secret team, they said it's totally fine with sensitive skin, because all of their coffee scrub ingredients are 100% natural. Finally, the whole products came to my house, and it's so interesting. 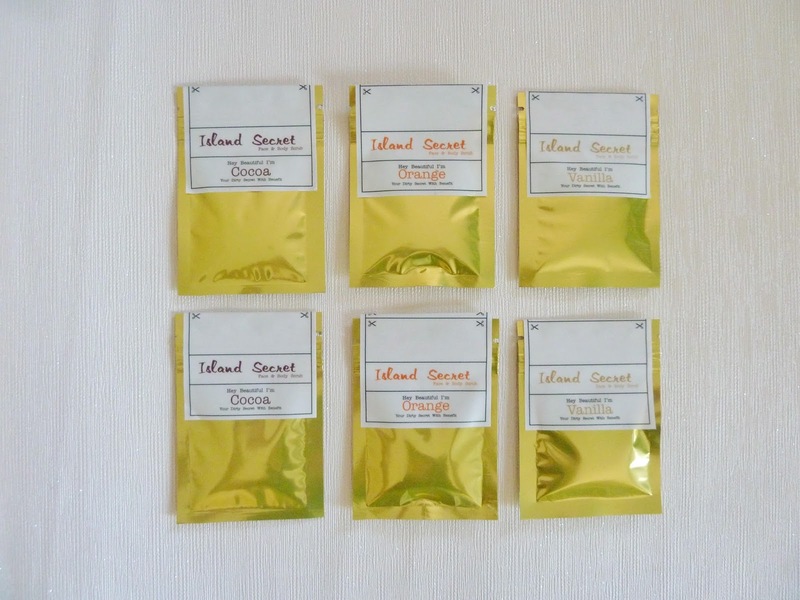 It comes in a white box with a whole set of varieties of scrub. 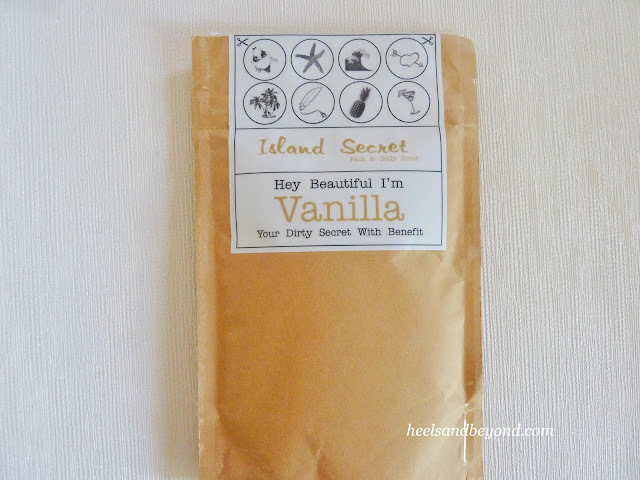 There are three different varieties of scrub with different benefits, Vanilla, Cocoa and Orange. I choose Vanilla flavor for the full package. Antibacterial properties, cleanses your skin to reduce pimples and acne, anti-aging, reduce fine lines, wrinkles, age spots, antioxidants, soothe burnt skin (full of Vitamin B). Balance mood swings, brighten up mood, prevent premature aging and sunburn, glowing skin and improve skin texture with microcirculation, increase oxygen saturation, improve skin hydration, protect skin from UV rays. Hmm.. let me tell you it smell so good! I suggest you if you want to try this, choose your favorite flavor or choose flavor based on their benefits for you! So, how is the result? Will this work? How will this effect to my skin? 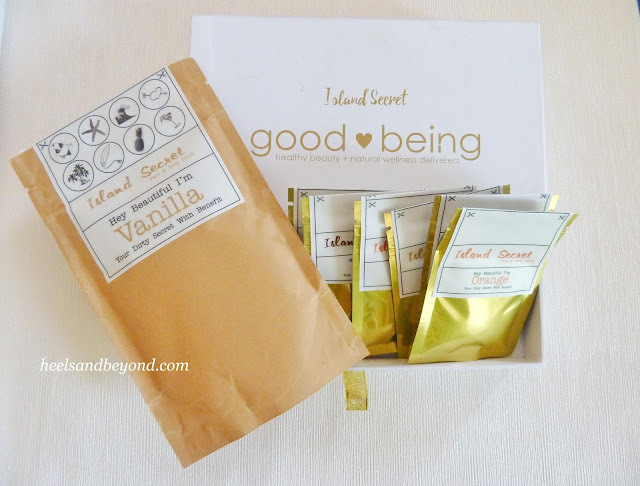 Stay tuned everyone, in Island Secret Bali Part 2 Review and Result! Thank you, just follow you back! Thank you, just follow you dear! 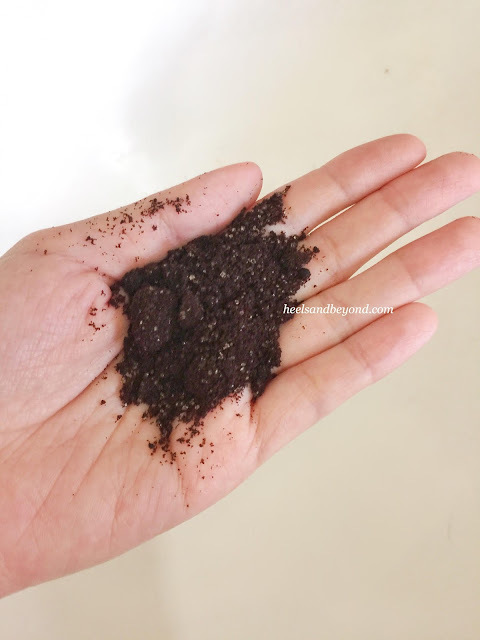 I love coffee body scrubs! They leave my body feeling so soft and exfoliated after. Thanks for sharing! I would love to use this! It must smell amazing!